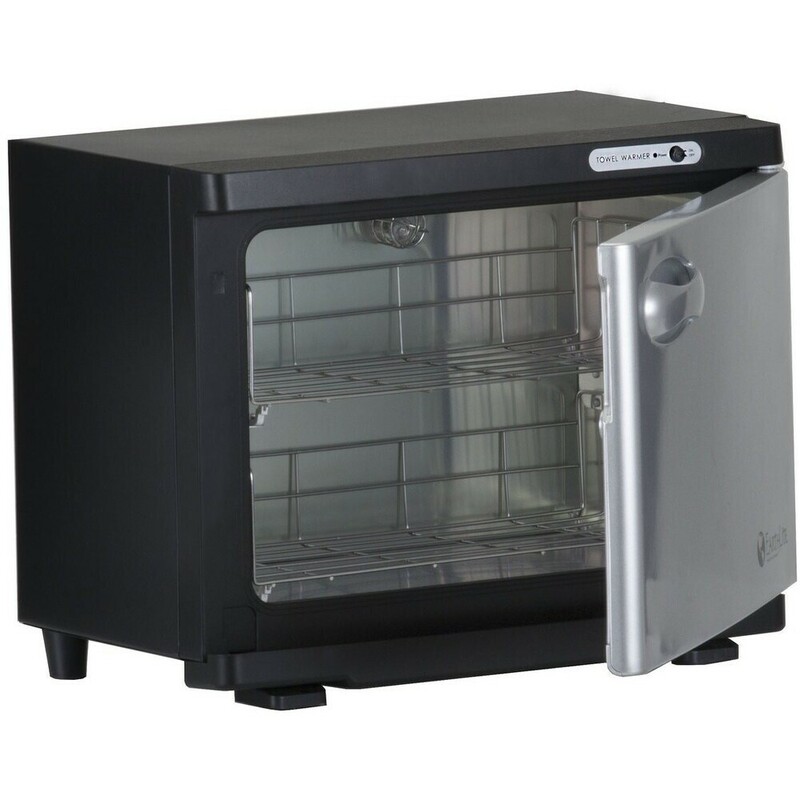 This dependable UL listed unit heats and sanitizes approximately 24 towels; it offers a sleek design featuring stainless steel interior, and a discrete drip pan. 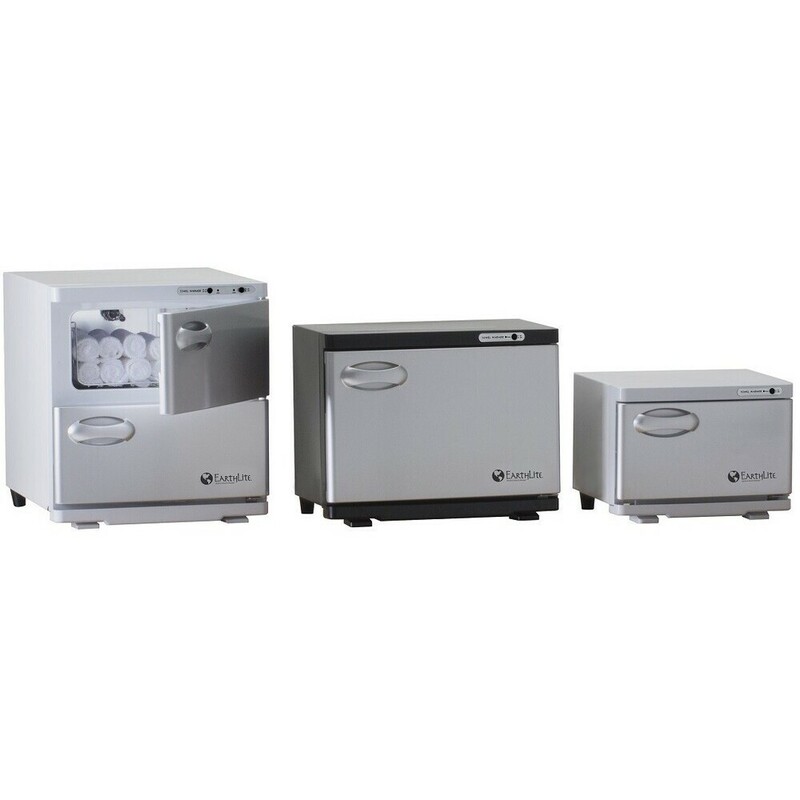 This unit offers a compact footprint design, that heats and sanitizes your cloth or disposable towels for continuous use throughout the day. Earthlite® has developed a proprietary line of UV Hot Towel Cabinets. This Standard towel warmer has been designed and engineered to produce a consistent heat range, durable construction and easy operation. 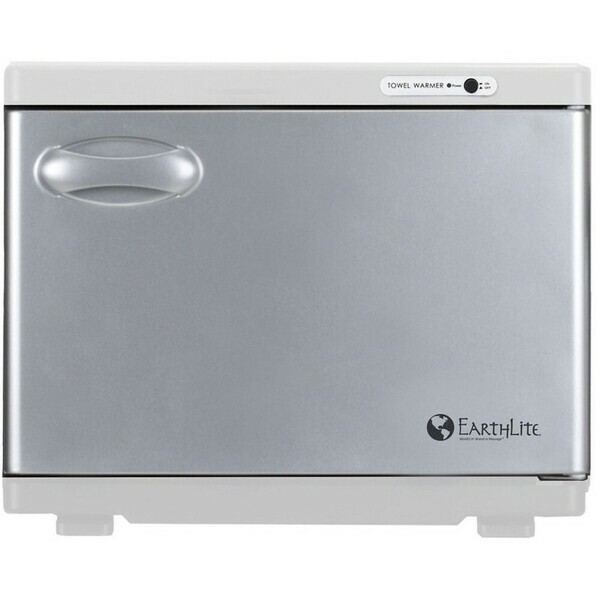 The signature silver door has sturdy hinges attached to a white (or black) easy to clean cabinet. 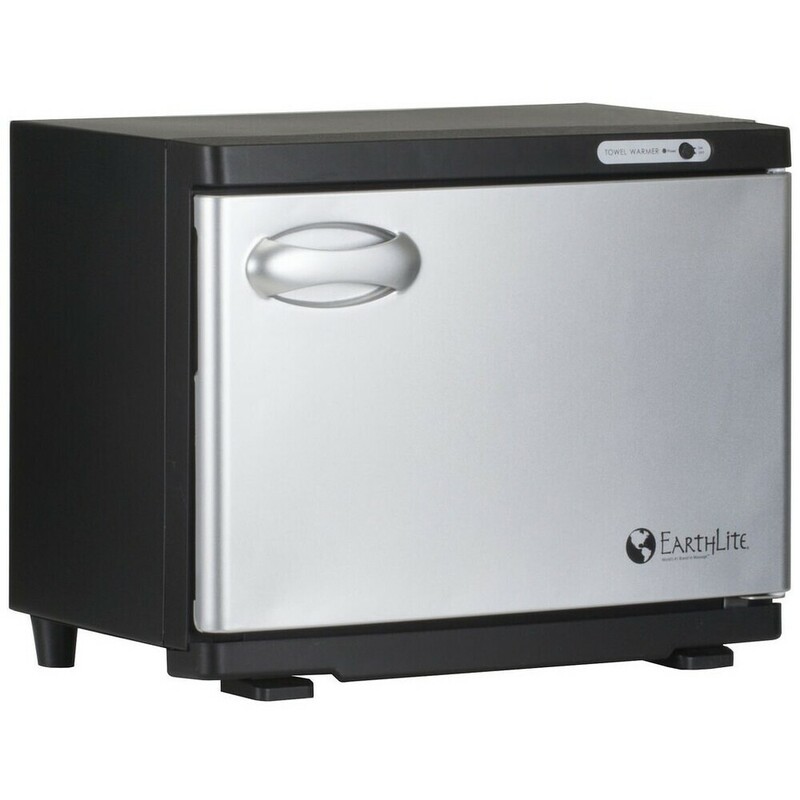 The Earthlite UV Hot Towel Cabinet was definitely created with quality in mind.